Committee chairman Jim Malkin said they worked hard to ensure an open process. A recommendation for restoring the area around Squibnocket Beach was well received by Chilmark residents and town officials at a public meeting Thursday. The light-spirited gathering at the Chilmark Community Center stood in sharp contrast to the emotional annual town meeting in April, when voters narrowly rejected an earlier plan for the beach area. About 100 people attended to hear Jim Malkin, chairman of the town committee on Squibnocket, outline the committee’s work over the last six months. The committee’s recommendation outlines a new parking lot and improved beach access, as well as a new access road to the homes at Squibnocket Farm. Mr. Malkin also explained why various alternatives had not been chosen. 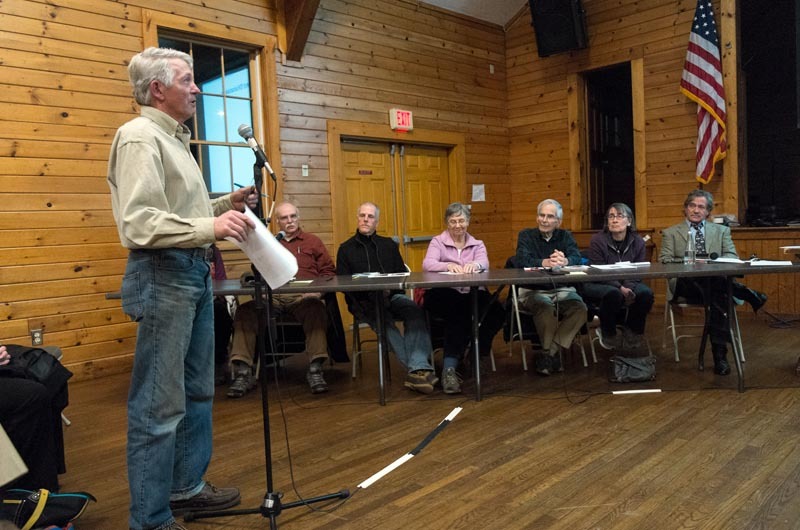 The committee was chartered by a vote at the annual town meeting and its members were later appointed by town moderator Everett Poole, who presided over the meeting Tuesday. 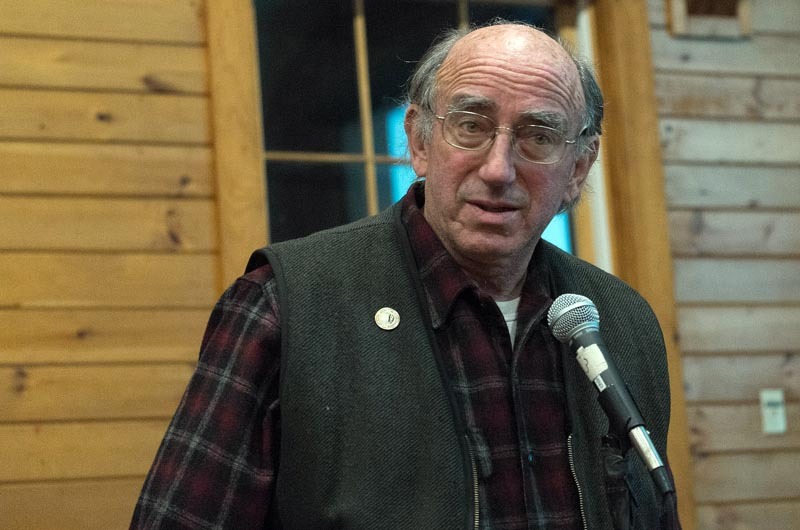 He recounted other concerns that included environmental issues in the beach area and the effect of a 15-foot raised causeway on the viewshed. “With that in mind, we as a committee worked very hard to make sure that our process was open and was involving and was receptive,” Mr. Malkin said. Two Chilmark selectmen at the presentation endorsed the committee’s process. An artificial dune ridge to protect a gravel road to the homes at Squibnocket Farm, another roadway farther north with culverts, an emergency access route across Squibnocket Farm and the sinking of barges off the coast to quell the wave action and slow erosion were among the alternatives rejected by the committee. The primary recommendation, as presented Tuesday, calls for a single-lane road that begins about 200 feet northwest of the beach on Squibnocket Road, and to connect to the current access road to Squibnocket Farm farther south. A portion of the road crossing through wetlands would be raised about four feet. The town parking lot would be moved farther north, with parking along both sides of Squibnocket Road. 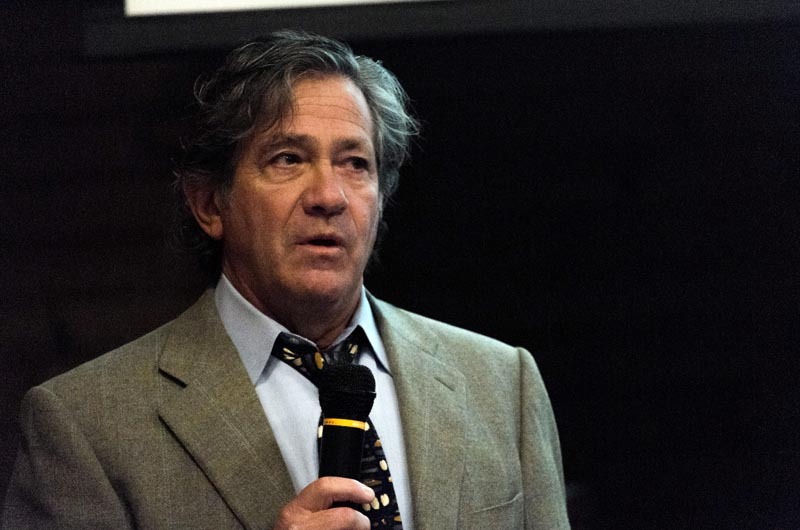 Mr. Malkin briefly presented a second alternative that could be pursued if affected property owners and the town cannot agree on a way forward with the primary recommendation. That alternative is a version of the original proposal from April, with the raised causeway pushed as far north as possible. The committee’s charge in April was to address the issues surrounding parking, beach access and access to the homes at Squibnocket Farm. The primary recommendation and the alternative both are meant to account for the landward retreat of the beach, which will accelerate once a stone revetment along the parking lot is removed. During a question period, which opened with a long pause, Jessica Roddy of Chilmark said she was concerned that by offering a second alternative, the committee was sending the message that it was comparable to the first. “I’d love to vote for that first one but I’m nervous about the second one,” she said. “I think that most of us feel the same way,” said committee member Janet Widener. But she added that the second alternative was “doable,” and that if the preferred alternative couldn’t go forward, it would at least be an improvement over the original proposal. “But I think we all feel strongly that we want the first one,” she said. The committee plans to regroup in the coming days to finalize its recommendation in time for a special town meeting Feb. 9. The warrant article itself will be drafted by the selectmen, but Mr. Doty indicated a willingness to accommodate for the committee’s preference. Great respect to the Squibnocket committee for their hard work and success in arriving at the best possible solution.